Want good old fashioned Kiwi service Plus the latest Eftpos & POS technology? Kiwieftpos are your experienced one-stop-shop with dedicated expert service—New Zealand wide. Great solutions for Retail or Hospitality - Plus expert advice. 24/7 Dedicated Help Desk Team.7 regional service partners around NZ. We have happy customers all over New Zealand – from Whangarei in the north, to Stewart Island in the south and everywhere in between. 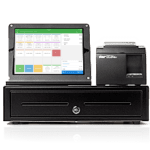 KIWIEFTPOS & POINT OF SALE – for everything Eftpos, Mobile Eftpos, Cash Registers, Point of Sale Hardware, IdealPOS Hospitality & Retail software, Counter Intelligence Retail POS software, Serve - Café Software, Webstore software, Vend POS software along with Business IT support.